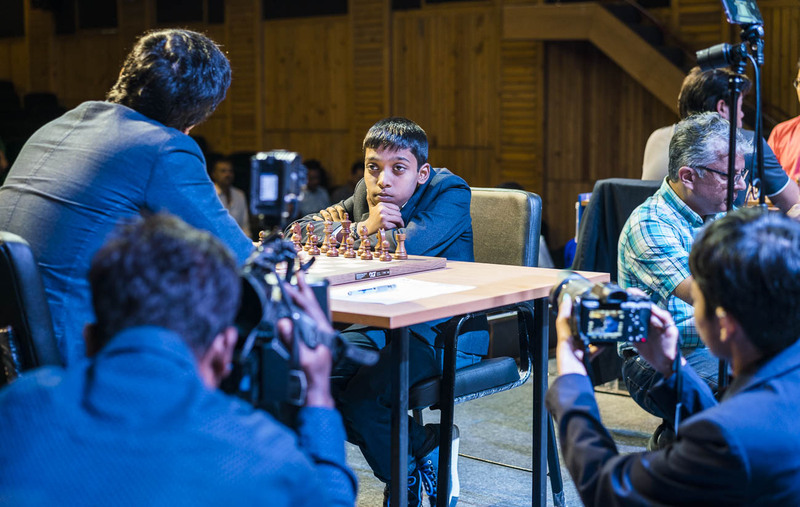 All Photos: Lennart Ootes/ Tata Steel Chess India. 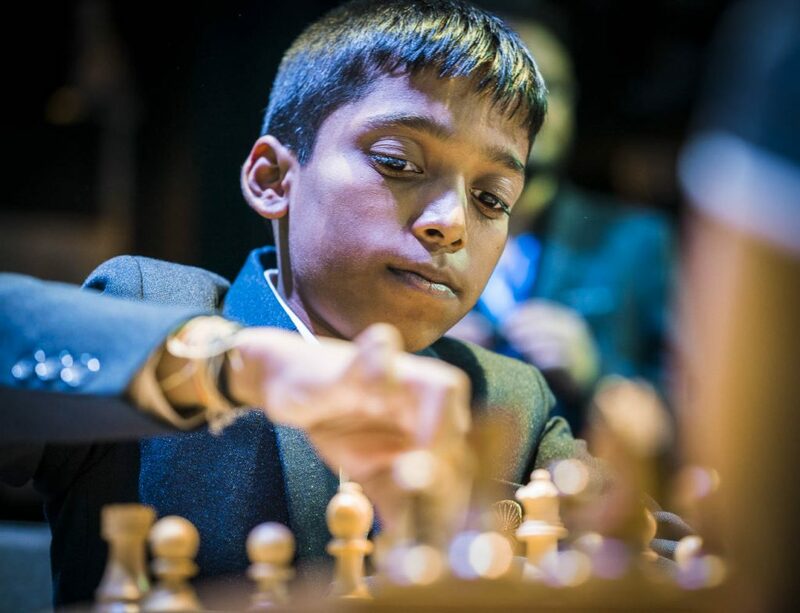 Thirteen-year-old Praggnanandhaa, who replaced Nihal Sarin in the blitz part, scored an impressive 3.5/9. 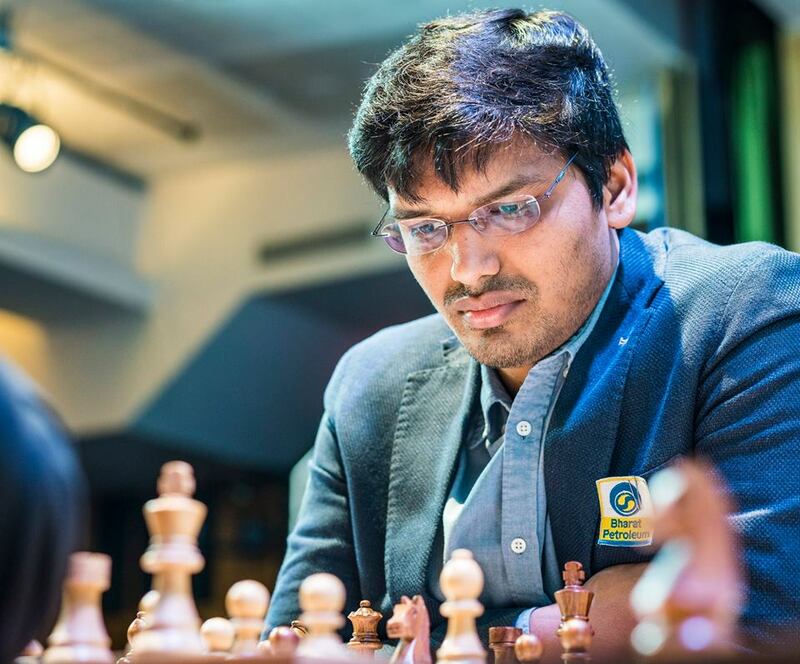 He tasted success in round five when he defeated former World Championship Challenger Sergey Karjakin of Russia before outwitting local favourite Surya Sekhar Ganguly in the eighth round. 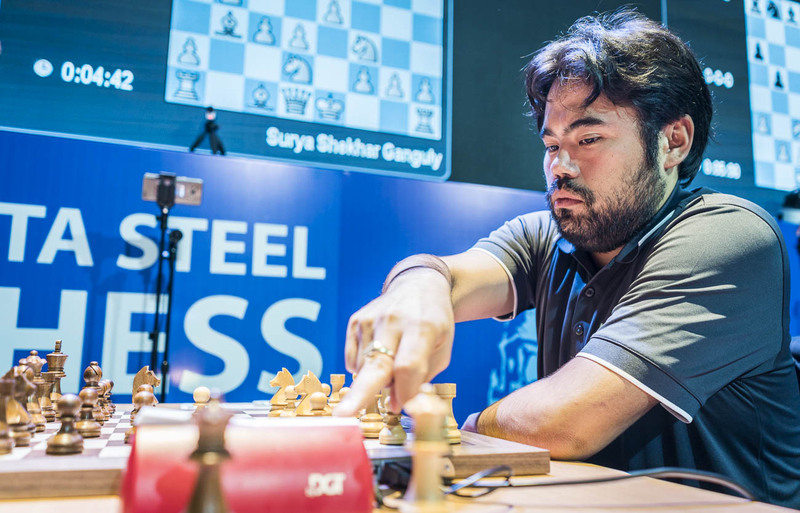 Meanwhile, Hikaru Nakamura, who won the Rapid leg, stayed unbeaten to remain in sole lead position at the end of day one of the Tata Steel Chess India Blitz tournament. Nakamura ended with a score of 6.5/9, registering four wins and five draws after nine rounds. He has good chances to take the first prize in the blitz part. 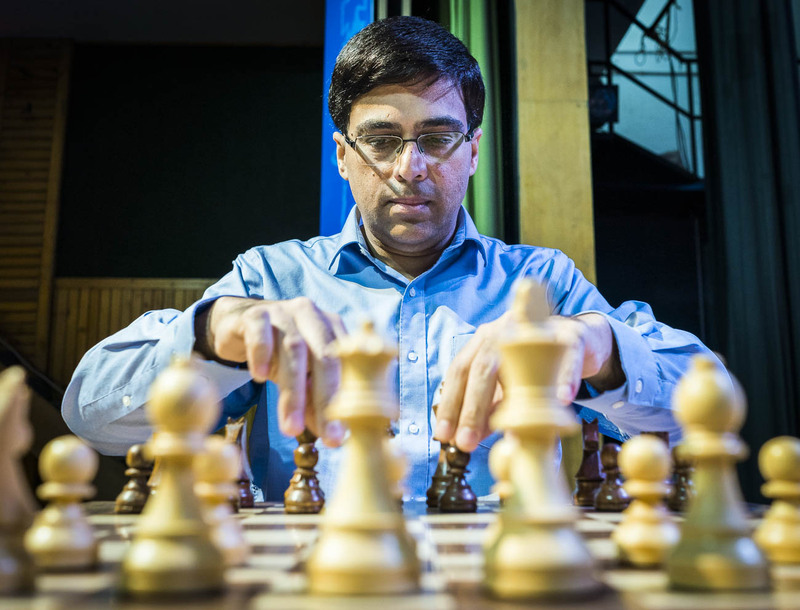 Five-time world champion Viswanathan Anand along with Pentala Harikrishna led the Indian challenge. After nine rounds, both compatriots amassed five points. 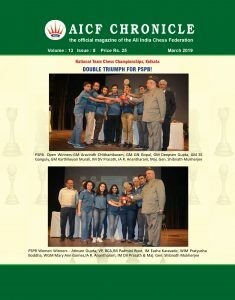 Scoring 5/9, Pentala Harikrishna did pretty well. He defeated Levon Aronian with the white pieces in 41 moves. Another nine rounds of blitz will be played today with the same pairings as yesterday but with reverse colours.